The next two weekends will be a wonderful time to go on a trip on the Nebrodi mountains. There, in the province of Messina, will take place the 15th Edition of Black Swine Fest, dedicated to the delicious Black swine of the Nebrodi and to Porcini mushrooms. The country fest will be held in Cesarò, on October 11 and 12, and then again the following week on October 18 and 19. The town of Cesarò is just next to Bronte, the house of Sicilian pistachio, and to some of our charming villas in Taormina area. 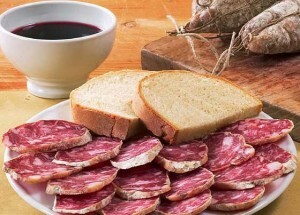 During the fest you’ll have the chance all the specialties of the area: the stars of the show will be the Balck swine meat and cold cuts, of course, as well as the porcini mushrooms that grow on Sicilian mountains, but also a lot more of typical local products. The black swine is a race bred inside the Nebrodi national park; its meat is delicate and a perfect match for porcini. The town of Cesarò can proudly claim the paternity of the Sicilian black swine breeding: this specific race has been then officially recognized in 2001 as an indigenous breed of Sicily. The Black swine of the Nebrodi lives mainly in the wild and this characteristic is expressed in the excellent ruby red color of its flesh and by its intense aromatic flavour. The fest’s schedule includes live traditional music concerts, to recreate that authentic atmosphere typical of Sicily’s inland. Attending at the Black Swine Fest you’ll have the chance to visit a large number of stands and taste a wide range of local products, mostly dairy products and wine, brought by the most important organic farmhouses of the area.